Mamas, this is one of our FAVORITE giveaways so far this year. We’re giving one lucky mom FOUR tickets to see Disney’s Beauty and the Beast Broadway Musical at the Walton Arts Center on May 6, 2016. We’re pairing those show tickets with the best pizza in town — U.S. Pizza — and a $30 gift card to use while you’re there. ABOUT THE SHOW: When it comes to this show, we’re biased because we think Belle is one of the best Disney princesses ever. Maybe it’s because she’s a book nerd, just like us. Maybe it’s that gorgeous yellow gown she wears. Maybe it’s because she sees the beauty in things and in people, even when they’re acting beastly. I saw this Broadway musical with my daughter in 2010, the first time it came to Walton Arts Center. She was 4 years old at the time, and it was her very first trip to the theater. I will NEVER forget the look on her face when the curtain went up and one of her favorite movies came to life on stage with real people. For her, that moment was pure magic. She instantly became a theater lover, and she jumps at the chance to go back to Walton Arts Center to see another show. If your kids haven’t been to a show before, this is the perfect one to get them started. 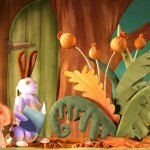 The show is based on the Academy Award®-winning animated feature film, and it is an eye-popping spectacle that has won the hearts of more than 35 million people worldwide. This classic musical love story is filled with unforgettable characters, lavish sets and costumes, and dazzling production numbers including “Be Our Guest” and the beloved title song. If you don’t want to miss out on getting tickets (and this show almost always sells out), CLICK HERE to buy them now. The show runs May 6-8. We’ll choose a winner on Friday so watch your inbox. Good luck! 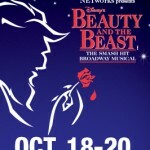 Beauty & the Beast tickets on sale at Walton Arts Center! Be Our Guest is my favorite song too! My favorite scene in Beauty and the Beast is the Be Our Guest scene. It is so fun and uplifting! My favorite songs are Be Our Guest and Gaston. My daughter didn’t understand all of the words in Gaston and would make up her own silly ones. I still remember her rendition every time I hear that song. I like the song “Little Town”…my daughter sings it very well and we’d love to see this live at the WAC! My favorite scene is the one where he shows her his massive library. The girl just loves books! This is my absolute favorite Disney movie and I would love to take my kids to see it live!! Hands down the “Be Our Guest” song! The theme song “Beauty and the Beast” is my favorite!!! My favorite scene is when the dancing scene. It shows the love between Beauty and the Beast and helps show how you can accept people just the way they are. I love the entire story. It teaches a great lesson. I love when they dance in the ballroom. Definitely Be Our Guest! So wonderful! LOVE! LOVE! LOVE this movie/show. Hands down Be our Guest is my favorite scene, song! I just love this movie! It is one of my favorite Disney movies of all time! I think the beautiful library that is in the Beast’s castle is just amazing and it would be so neat to experience a library like that in real life! The scene where all the furniture and household items are fighting the angry mob is great. Makes me giggle. I love Gaston’s song! Would love to see this with my girls! I love the balcony scene in which the beast transforms from a beast to a human; such a lovely, powerful, engaging, & beautiful scene. Gaston’s song is a favorite in my family! Be our Guest! Would love to see this show! My favorite is the song Belle sings about wanting “more than this provincial life”! Beauty & the Beast. Would LOOOOOVE to see this with my daughter! My favorite part of the movie is the ending! 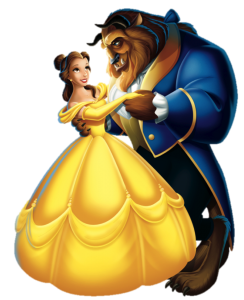 I love how Belle falls in love with the beast only to have him transformed at the end. It really does encourage us that happy endings still happen. I love the music especially “Tale as Old as Time” and even sing it in my high school choir. We love Be Our Guest, too! My daughter is just like yours…fell in love with theatre at her first play and loves to go any chance we get! My favorite part of the movie is when Belle starts seeing the good side of the Beast. Love the snowball fight :). “Something There” is my favorite song because it shows how Belle’s feelings toward the Beast are starting to gradually change. I love it! Tale as old as Time is my favorite! I love when they dance in the ballroom! So sweet! Be Our guest is our favorite Scene. We also love chip too he is so cute. 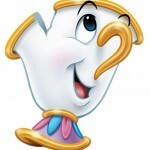 My favorite song is “Beauty and the Beast.” I love the version by Peabo Bryson and Celine Dion. My little girl would LOVE to see this! So many favorites with this movie, but I love the kitchen scene with chip and all the dishes … My favorite song is Transformation! The whole “Be Our Guest” musical scene is my favorite of the entire movie! I follow nwamotherlode on twitter (stefjdf) and pinterest (stefjdf01) and subscribe to the newsletter. We love this wonderful love story and when they dance to Beauty and the Best song. I love the opening scene because Belle is not afraid to dream of a better life! This is one of my all time favorites!! Song is Be Our Guest! I just love the dance scene too. Love it!!! The Be Our Guest Scene! I like the first song she sings in the meadow. Makes me remember my carefree days living in the country. I love the scene where Belle and the Beast are dancing and the movie’s theme song is playing. I love the one of the first scenes where she is singing through the town as she reads a book. Be our guest! Would love to experience this together with my oldest!! I love love love when Belle rejects Gaston. It’s hilarious. Of course “Beauty and the Beast” theme song is my favorite & I love the ballroom dancing scene! I would love to take my daughter & have this be her first introduction to live musical theater!! She would love it! I also follow on Facebook, Twitter & Pinterest! Our favorite part is when Gaston sings and eats the raw eggs bc he is silly! I love that Belle is a bookworm! All of my girls love to read! Any scene with Lumiere and Cogworth are my favorite! Be Our Guest is the best! My daughter loves all the dancing silverware! We like the ending with them dancing to Beauty and the Beast song. we love the gaston song and the “beauty & the beast” theme song!! 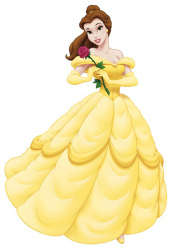 My favorite scene has always been seeing Belle dance in that beautiful yellow dress. That’s why my favorite song is also “Beauty and the Beast.” It’s a perfect song for a perfect scene. Chip and the ottoman dog are too cute, plus Ms. Potts has some pretty good lines. Be are guest is a great song. I love every part of the movie but one of my favorite scenes is of Gaston trying to get Belle’s attention 🙂 Fabulous movie! This is one of my favorite Disney movies. I cannot just pick one scene because I love the whole movie! Gaston’s Song is my favorite! I would love to take my fabulous grandchildren to see this! I like Gaston’s song in the bar. My favorite moment in the film is when she sees the library. One of my favorite movies. My favorite part is Be My Guest. I love the song and the dancing. Each one of the characters reminds me of people in my life. Would love to take my daughter to see this on stage. Exciting. The theme song beauty and the beast is my favorite!! This is MY VERY Favorite Disney movie of all time!! I was in college when this came out and still went to see it and bought the movie! My favorite scene is the dining hall scene when they are preparing dinner for Belle!! Love it!! Be Our Guest is my favorite song! Thanks for a chance to win! I’d love to take my daughter’s to this!! When bell is trying to bandage his wounds and he snaps and snarls at her….she puts him in his place! I love her brave spirit! I like the scene where Beast reveals himself as a human. Belle looks in his eyes and can tell it’s him. Belle and Beast finally kiss, love. It’s such a tender moment. The first time Belle and the Beast dance and realize they care about each other. Be Our Guest! Granddaughter would love to watch this for her birthday! “Be Our Guest” for sure! Be Our Guest!!! Such a great story! My daughter loves the “Mob Song” towards the end of the movie. I enjoy the part where the Beast’s heart changes toward Belle. He’s still a beast on the outside, but he’s a different person on the inside and she can see it. I can sit and think about that for hours. Be Our Guest is the best! My husband sings “Gaston” all the time just to be silly so I’m partial to that song! My two favorite songs are the theme song, “Beauty and the Beast” and ” Be Our Guest.” Belle is my 5 year old’s favorite princess! I follow on Twitter and Pinterest, and I commented on Facebook. my grown daughter would be so excited if I could take her to this! one of her fav childhood movies. My favorite song is Be our Guest! My daughters are teens now and watch Once Upon a Time with me each week. Gaston appeared last week and we all had fun singing his song and remembering the movie. I would say his song is my favorite now because of the new memories. We are all huge Disney fans and would love the opportunity to see the musical. Thank you! I love the snowball fight! My favorite scene is when Belle climbs the tower, and ultimately proves her love for Beast by risking her own life to save him. After all this was the only way for him to truly beliebe her devotion. It’s not what’s on the outside that counts. It ideas what one’s inner character show with actions, not qords. I love the message of this story! I love “Be Our Guest” and would love to see it at Walton Arts Center with my granddaughter!